Wow! 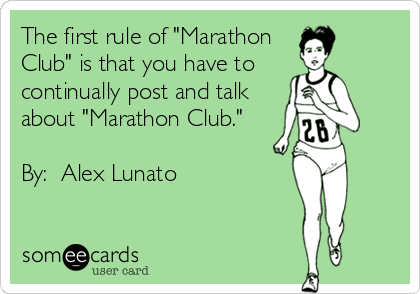 Marathon Weekend…already?! 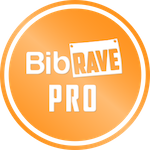 It kind of seems like just a few weeks ago I started my marathon training…and now the big day is here! Little man and I came to KC Friday afternoon and played around at the expo. There was tons of snacks, a lot of people too be shy around, things to climb on, and tables to crawl under…basically a little boy’s dream playground (minus the slides). Gypsy Runner had some great shirts, headbands, hats, and everything a running lady would love to wear! Gypsey Runner had the brightest colors and great shirts! The KC Running Co had some of their upcoming race medals out on display and some create tees for sale. Of course we had to look at all of the Garmin watches and play on the display! …and then we went and played around the JEEPs outside! The Expo was nice! There was enough to see without being overwhelmed. There was clothes, fuel, massages (which I would have got one Friday since they were packed up and gone when I finished Saturday…), snacks for the little man, and several running related companies with great giveaways! Since I laid my clothes out the night before, I was set and dressed in no time flat! As I was walking up to the start area, I was overtook by the greatness of the American flag – it was huge! I am overcome by emotions when I am in the presence of such an iconic representation of our freedom…I THEN got super excited and super nervous! Once the race started, I realized that I started with or around the 2:20 half marathon pacers. This pace was a little faster than I thought I would/could/should run at the beginning of this race, but I went with it. I started weaving and bobbing through the walkers (not sure why they start so far up and not towards the back…) and settled into a pace – yes, faster than I wanted to be, but it felt comfortable. The hills started from the beginning and we rolled up and down Ridgeview for the first 3 miles. There was one water stop around mile 2, but I didn’t stop. The first major turn was around the Mahaffie Farmstead area. There is a small tallgrass prairie reserve on the corner, a great visiter’s center, and land and buildings to walk through. Granted, we were not stopping to enjoy the area, but I did get a few quick snaps of the atmosphere. Once we passed the Mahaffie area, we were on our way to Olathe North High School and there was a guy videoing the runners passing with a drone…odd, but cool! Soon, we were at the second water stop – I slowed to a fast walk, took a water, drank it, and was off running again soon after 🙂 While I run in these areas when I am in town for races or visiting family and friends, I don’t generally take the time to really embrace the scenery… Not today. It seemed like my senses were on overdrive and I took in as much of the day as I could. About this time, I passed the 4:30 marathon pacer. I mentioned to her that I was going to try and keep her in my sights… While that seemed like a doable goal around mile 4, I had no clue what I was getting myself into! The rolling hills continued… Around mile 6, I could hear music coming up behind me… There was a gal with her phone on blast in her running belt. The music was similar to what I listen to and it had a nice beat for a good running cadence. I slightly quickened my pace to keep up with her for the next several miles. While I was still running faster than I anticipated to this point, we had a fun conversation about running, tri training, and life! The Garmin 1/2 was her 2nd half from coming back from hip surgery…and she was clocking a new post-op PR! **Mental Note : I need to look through the images around the area where we broke away to check her bib # and see how she finished! We rounded the corner of Olathe Northwest High School and another water stop. I walked through this area and took several cups of whatever they had to serve. Due to my running faster than expected, my MIL missed me at our first meeting point at around mile 8.75…whoops! If I would have looked hard enough, I could have seen her speed walking up the street! They live about 1/2 mile from the 8.75 mark and a mile from the 11.25 mark of the race. Around the mile 12 mark, the half marathoners continued to the finish and the full marathoners veered off to the left onto the Mill Creek trail system for 6.5 miles out and then back. I am lumping the entire trail into 1 category because it was the beginning of the end! My family was planning on being around mile 15 and 23 (the same spot). I got a call from my dad when I was around 14.5 miles in…good timing! They just settled in and were waiting on me. I tossed off my hydration pack to be refilled and took a bottle of water. Everyone was excited to see me, even the little man! Once I was on my own again, my feet started hurting… I lasted until around mile 17/18 before I really had to take some walk breaks. My feet were on FIRE!! I hadn’t ever felt pain like this in my feet before and I wasn’t sure if it was just from the miles or if I had hurt myself somehow. I made my way back to where my family was and I fed off of their energy a little – I was beat, but the cold water and smiles helped a little! Once I was to this point, I knew I could make my way back to the start/FINISH!! There were only a few people on the path and road…and it was a lonely finish. I was very pleased with this race! I know that I was physically prepared for the course, but I was not prepared for the speed of the first 1/2 of the race. If I was only running the 1/2, I could have PR’d most likely! – this is not a good reality check, I should have started out much, much slower! There are always “could have” “should have” “would have’s” after a race…and yes, I…could/should/would have started out a little slower and then I could/should/would have been able to last longer without burning my feet out. There is no rewriting history. I will just have to run a little smarter next time… I am not in a big hurry to start training for another full…but I will! Wow, that was long. 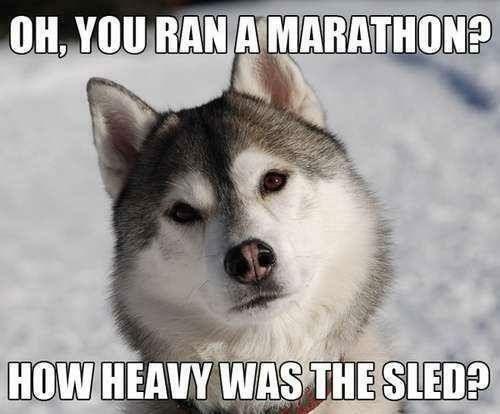 Have you run a marathon? Did you feel like you wanted to run another after your finish? Time for a little rest and relaxation…or just a little more running!